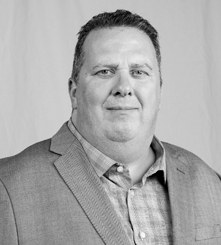 Steve Link is Vice President of Client Operations for CareCloud. He is responsible for managing the company’s Revenue Cycle Management operations, which includes all functional components of Concierge service delivery. In this role, he leads a team of service professionals dedicated to helping medical group clients achieve practice management excellence. Mr. Link joined CareCloud in 2013, with 25 years of experience in the healthcare and financial services industries, managing and scaling RCM operations, banking operations and project management teams. .
During his career, Mr. Link has led high-performance teams responsible for revenue cycle management of more than $9 billion in annual deposits. While at athenahealth, he led multiple high volume operational units through consecutive years of 30% top line growth. His teams also delivered year over year performance improvements against key operational metrics as well as engaging clients at a strategic level to align products and services. Prior to athenahealth, Mr. Link held various leadership and project management positions at Fleet Financial Services and Bank of America. During this time, Mr. Link also received Six Sigma Black Belt certification and led Six Sigma project management initiatives at Bank of America.